Summer has only just begun, but we bet you’ve been dreaming about backyard barbecues for a while. As you prepare to stock up on charcoal, fire up the grill, and tie an apron around your waist, why not consider something new for this year’s summer kick-off party? Step out of the box during your next visit to your local Foodtown grocery store, where you’ll find plenty of creative burger patty ingredients to take your barbecue to the next level. Chicken burgers are a great way to cut out the beef without sacrificing the juicy bite of a classic hamburger. Take a southwestern approach to flavor with these Cheddar Jalapeno Chicken Burgers with Guacamole or incorporate classic Italian flavor with Pesto Chicken Burgers. Use Foodtown-brand buns and cheese for an extra dose of affordable flavor! If you’re looking for something a bit more upscale, turn to seafood. Visit our high-quality seafood department to stock up on the ingredients needed for light and fresh Grilled Salmon Burgers with Avocado Salsa, indulgent Thai Tuna Burgers with Ginger-Lemon Mayo, or spicy Cajun Shrimp Burgers with Tartar Sauce. Whether catering to vegetarians or simply looking for a new way to enjoy a burger, there are plenty of satisfying meatless burger recipes. Portobello Burgers with Bleu Cheese and Sautéed Red Onions offer meat-like flavors and textures that even the biggest carnivore will enjoy. Meanwhile, Quinoa and White Bean Burgers offer the protein needed for an afternoon full of fun and activity. Take your BBQ guests on a trip around the world with lamb and pork burgers. Offering a bite that is just as juicy as beef patties, these ingredients are highly versatile and sure to wow your guests. Incorporate Mediterranean flavors with these Greek-Style Lamb Burgers or add a touch of Asian flair with Korean BBQ-style burgers. When it comes to burgers, there really are no limitations. As you browse the aisles of your local Foodtown supermarket, keep an eye out for these creative burger patty ingredients or stop by our meat department to see what you might be able to whip up. 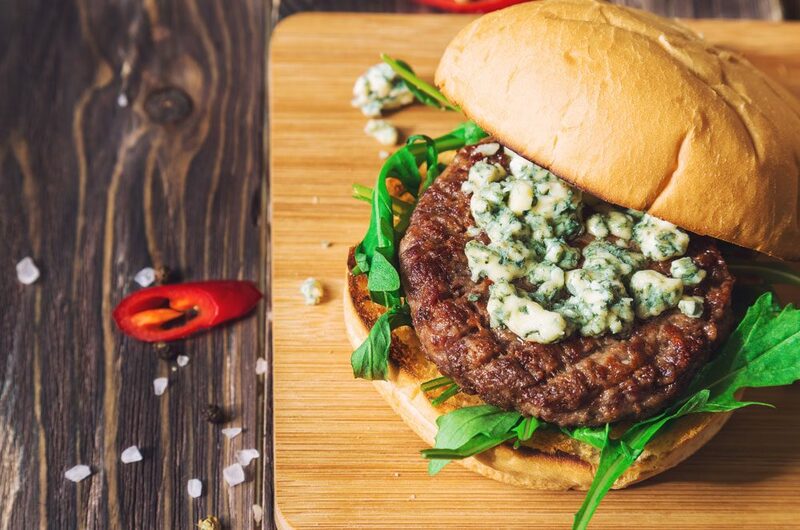 With Foodtown-brand buns and shredded cheese and an always-fresh produce department, you’ll have no trouble concocting a delicious burger that will tempt the taste buds of every summer BBQ guest. Take a visit to your nearest Foodtown grocery store or shop online for in-store pickup or home delivery to find everything you need to host an affordable and unforgettable summer barbecue. Plus, take advantage of the savings found in our Weekly Circular and mobile app!